The Virtual Office Doral is located in the business center right after Miami International Mall. The modern free standing building is easy to reach via Florida Turnpike and Interstate Road 826, ample parking for customers is available. Amenities are modern and set up with the latest technology for fast internet access and VOIP phone technology. Management and administrative support is available during regular business hours. Clients may arrive and depart quickly, a drive to the Miami International Airport just takes 15 minutes. The facility provides you with 53 fully furnished and serviced office suites, as well as conference rooms and a service area for coffee and soft drinks.. Our shared reception area is representing your clients in your companies name. 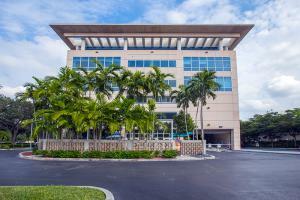 In this business center you can have your company setup fast with one of our Virtual Office Doral plans. For clients who are looking for turnkey office space, we have several units in different sizes available in order to serve your particular needs. In the heart of Midtown Manhattan is situated Virtual Office New York Penn Station. An inviting lobby and reception area welcomes you to our executive office center, setup with all furnished and fully serviced office suites. You may rent them full time or chose from our virtual office plans and add on some day office usage or live telephone answering service.